I have been working on this super scrumptious sweater off and on for weeks. Every time I pick it up and work a few rows, I wonder why I have not worked on it more. I will blame it on the miles and miles of mind-numbingly (spell check does NOT like that word and I'm too lazy to google) boring stockinette stitch. However, all that stockinette lets me talk, watch tv and best of all--not count stitches and look for mistakes. I just pick up and go! It's perfect for summer time knitting around my house these days. 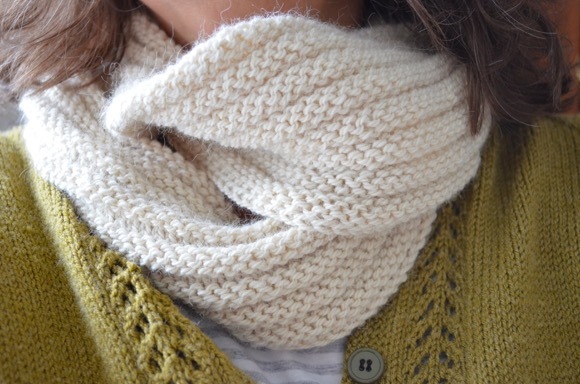 Soon enough I will have time to focus on charts and counting and intricate patterns to knit up. Casting on this sweater with slippery silk yarn was not fun. But now that I have some fabric to grasp--oh my I love to knit with silk! I might have to save my pennies and indulge in another skein of this Claudia's hand painted silk, the yardage is quite generous (1100 yds) And really can there be too many featherweight cardigans? Nope. Did you know that I am having a giveaway--it's over here! Leave a comment and you have a chance to win. Also in the next week or two I will have another pattern available to download. I am keeping it a secret for now so you'll have to just keep visiting to find out what it is. I love the colors in your yarn. It's coming along beautifully! I love the yarn. Gorgeous! It is really coming along. I too enjoy a bit of mind numbing work at times. Lord, but that is gorgeous! I know what you mean about mind numbing, but sometimes it is nice to have the hands busy and the mind free. So pretty~ you pick the coolest colors to work with!! That yarn is so gorgeous. Stockinette does numb the mind, but it's great when you want to multi-task! I would join the giveaway but I just feel like there are better knitters out there who really need stitch markers. The projects are do are pretty easy and just don't require them. Lovely yarn... the pretty is calling my name... I may have to get my citron out later tonight! I'm on lots and lots of stocking stitch at the moment - although nowhere near as delicate as featherweight!!! But: still perfect for watching films, car rides, chats... 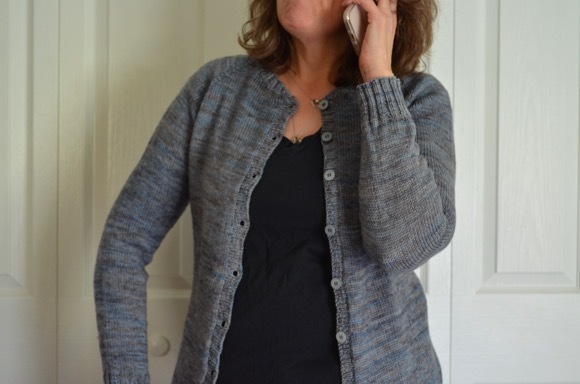 I love the colours in your cardi, and I can only imagine what it must feel like! That looks yummy. I love the colors....and silk? Delicious! I've only worked with wool and cotton, but I do have a silk baby wrap that I use to carry my toddler in. Me too. I have a love hate relationship with st stitch as well!! That is the most gorgeous yarn ever....looking forward to seeing the finished project. We are so hot here that I can't think about knitting! I do need to get back into it though. Oh delicious yarn.. I could think of many things to make with it. Oh, I need a good mindless knitting project. Something that is so simple I can't screw it up. ;) I love the colors on this one.